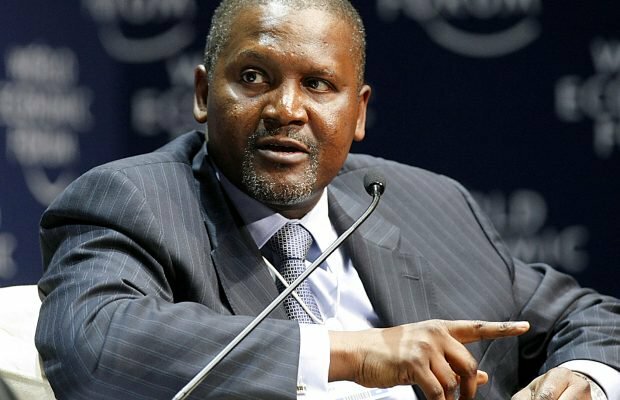 The Chairman of Dangote Group, Alhaji Aliko Dangote, has revealed a problem that causes him sleepless nights. He said he finds it hard to sleep because of the current high rate of unemployment in Nigeria. Dangote said this when a team of business executives from Lagos Business School (LBS), visited his multi-billion dollars refinery and petrochemical projects in Ibeju-Lekki, Lagos. “What keeps me awake at nights is not really the enormity of business ideas running through my mind, but it is actually high rate of unemployment in the country. ‘It is an eyesore and I think we have collective responsibility to solve this problem”, Nation quoted him as saying. Dangote noted that the nation’s growing population should have been a blessing if the youth energy is harnessed to drive growth, but regretted that poverty increases with the population. “The more poverty that you have in a society without education, the more criminals you breed. “It is surprising that poverty grows in this country as population grows, especially in the North where you have low income families bearing score of children they cannot cater for”, he added. Dangote said it was not the duty of government to create jobs, stressing that creation of enabling environment for entrepreneurs to thrive should be the focus of any government. Africa’s richest man said developed economies were not created by the government, but private sector which acts as drivers of growth and development. He linked insurgency and militancy to unemployment, saying criminality would fester in a society where government does not encourage entrepreneurs to create jobs.